"Bang! Die, bad men! Bang!" "Amrit, now will you please put away your gun and have your lunch!" "Listen up lilly-livered layabout green-horns! This is a rifle! *holds it up* Not one of those musical guns you held as a brat!" "Will I live to see all this ending..?" He breathes, just once. Dies. A classic case of what started as a 55Fiction, ended up as a Drabble. A drabble, by the way, is very similar to a 55Fiction; the only difference being the word limit, which is a hundred or less. Discounting the scene descriptions (content between the asterisks), this composition runs to 99 words. 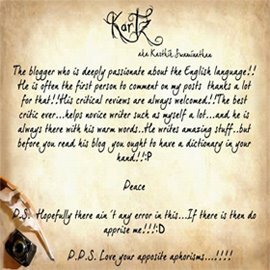 i loved the way you have presented it.. drabble sounds cool... will give it a shot too.. :D good going Kartz! I don't have words to express... you made it look like a film playing before my eyes!!! dedicate this to all the brave soldiers who protect us. tc i loved this post. Kartik Swaminathan-I salute you.Take a bow. left me speechles!! 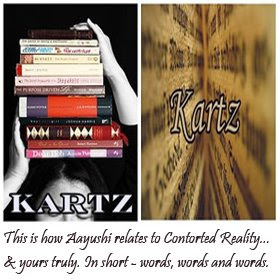 as always..
but this is very close to reality.. loved it..
55 fiction is the in thing.. The scenes played out in front of me live. Brilliant stuff kartz!! 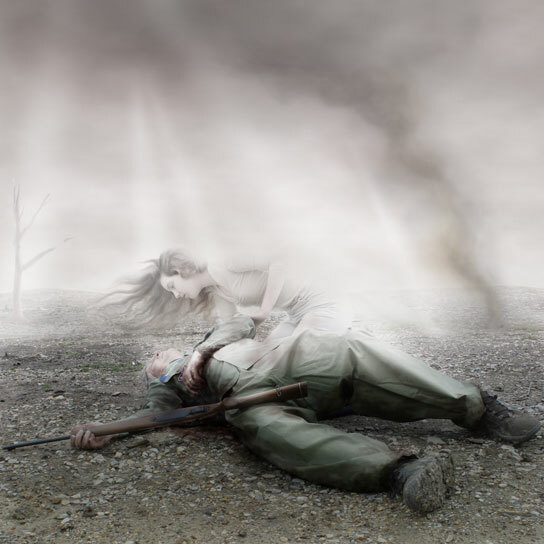 few words conveying a lot of emotions...some hard-hitting lines out there..."will i live to see all this ending? "...i hope i do!! mindboggling... wonderful read... keep writing... cheers!! i must tell u...awesomly written n very well pen down..
the poem is a great piece...why didnt u tell me about drabble before??? i'm struggling with 55 limits! I love the idea of the drabble, as well as your idea of life flashing about when dying - i loved the story .......... but i thought that the flash back was a bit clichéd and could have been exquisite with a bit more twist. Your mind fascinates me and your written expressions and images take eme on a wild ride of emotion, many emotions. You are so very talented and I just adore you. It was an amazing post and I loved it Kartz! Alot of the time we get sucked into our dreams n hopes that seem beautiful from AFAR. I love the way u presented this post. reality slaps hard. but do we have a choice? Hmmm... Predictable. But nicely written. Especially that verse at the end! nicee.. loved the post.. and the narration.. Reality, reality... Did I say - reality? Reality is such a killer! Hats off, whoever u are, kartz. Cant help but WONDER... nice!!! Hmmm... neat one, man. U cud submit dis 4 a contest entry @ SW. Thanks for the visit. And the read. I agree, bro'... Thanks for the read. Heh heh heh, but u r speaking it now. ;) Good luck if u ever decide to try again! Ah! We do - make the choice before it makes u! Thanks! And yeah - registered! Thanks... And sorry if it brought harsh memories. I don't post there anymore. THanks anyway! Karthik! That was so poignant...I loved the flash back to childhood and safety...wonderful writing. Thanks for tagging me. I can't seem to get into your web page when I click on the link you send me....can you tell me what I am doing wrong? And from next time, please head straight to this page, rather than trying to access it from facebook. ##KanagarajThanks, man... Hope you had an uber trip!